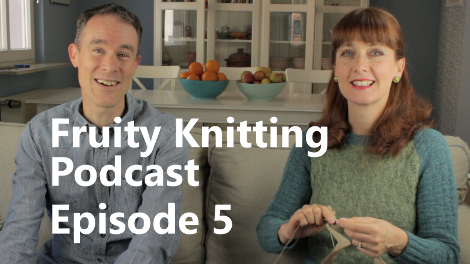 In Episode 5 you will see the Norbu cardigan by Marie Wallin, the Amelia jumper by Alex Pengelly as featured in the 2013 Rowan Design Awards, and an interview with a talented Canadian knitter and designer. The yarn for Andrew’s next pair of socks is the Rowan Fine Art, in the Waxwing shade. Rowan has a short article on this hand-painted yarn produced in South Africa. Amelia is designed by Alex Pengelly and was featured in the Rowan Design Awards 2013. 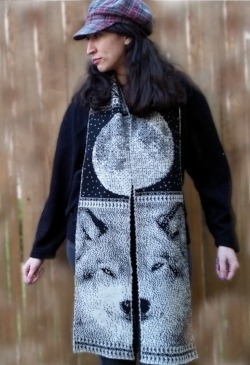 This pattern is available for free download from Rowan or Ravelry. Andrea used the recommended Rowan Felted Tweed in the shades Watery 152 and Ancient 172, for her own jumper, and Pine 158 and Avocado 161 for Madeleine’s jumper. Presented by Jo Kerrigan or West Cork, Ireland. You can find Jo at the Celtic Memory Yarns blog and on Ravelry as celticmemory. Music for this segment is “She moved through the fair”, a traditional Irish folk song, performed by Andrea Doig (singing and piano), and Nils Nolte (flute). 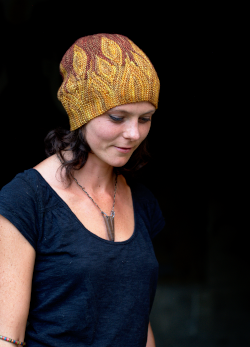 Our interview is with Canadian Knitter and Designer Elizabeth McCarten. You can find Elizabeth at her Chez Lizzie blog, and as emccarten on Ravelry. Knitting Around, published in 1989 by Schoolhouse Press, an autobiography by Elizabeth Zimmermann, edited by her daughter, Meg Swansen. Knitting Ganseys, by Beth Brown-Reinsel, published in 1993 by Interweave Press. Hi Josephine. 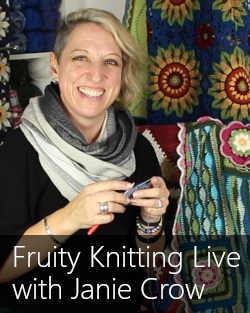 At the moment we only have the podcast on YouTube, so if you’re logged in there, you can click the Subscribe button next to the Fruity Knitting name. And thanks for the encouragement – it’s Andrew here – I’m almost finished the first pair of socks – one Kitchenered, one to go! Keep watching, and thanks for your comments. I cannot say enough how impressive your knitting is. Andrew, I understand your struggles and Andrea I so admire your brave attempt and success at difficult patterns. 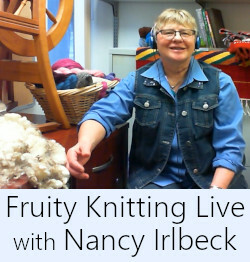 Thank you for being such an inspiration and all of your encouragement to those of us a bit timid in the knitting venture. What you did with those sleeves is amazing, I would have abandoned the project but now I see a creative solution. I used to knit quite a bit for my children but not so much for me because I struggle with the right fit. Maybe sometime you could discuss how to determine the correct size in a pattern. Hi Marie. Thank you! 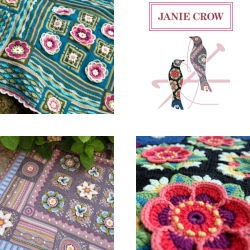 In Episode 10 – coming out soon – we talk about a book which does have some good tips on getting a pattern to fit. That might be helpful for you. We’ll include a reference to the book in the program notes once the episode comes out. Cheers, Andrea and Andrew. I am greatly enjoying your podcast along with your numerous tips, tricks, and techniques. Your guest speaker Elizabeth made reference to a video on how to knit a shawl collar. Do you have the link for that? I have looked and cannot seem to find it. Well, inspired by you I took scissors to my knitting to cut off a decorative cast on that wasn’t working. I lost the line for picking up the stitches but it all turned out in the end with the help of chippy markers to stop any stitches from unraveling. Maybe next I’ll try some simple Fair Isle. You two are very inspiring. Thank you. Hi Janet. Very pleased to hear that turned out well! Thanks for watching, and yes, definitely try some Fair Isle. Cheers, A + A.
Hello Andrea and Andrew, I love your podcast so much! I learn so much about knitting, and you manage to encourage to try new things, thank you so much! In this episode you asked about the huts and wooden seats in german woods! You may have already found out, they are for the hunters to watch the animals in the dusk or dawn. 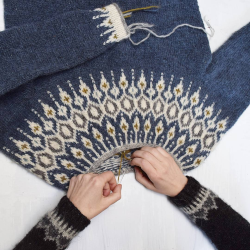 Now I have to watch your episode 6 and finish my recent project, the X-static sweater by Isabell Kraemer! Oops… We obviously don’t spend enough time there – certainly not as much as we would like to! Such a stunning part of the world.